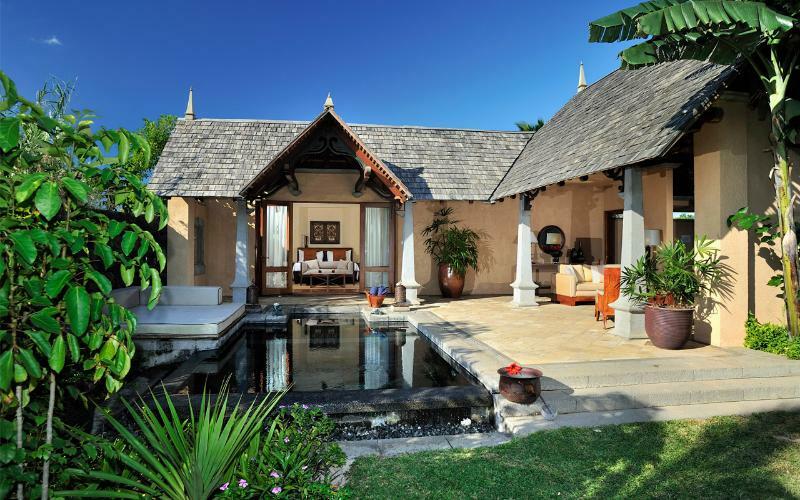 ﻿ Maradiva Villas Resort & Spa Pulau Mauritius. JIMAT di Agoda.com! Ada soalan mengenai Maradiva Villas Resort & Spa? 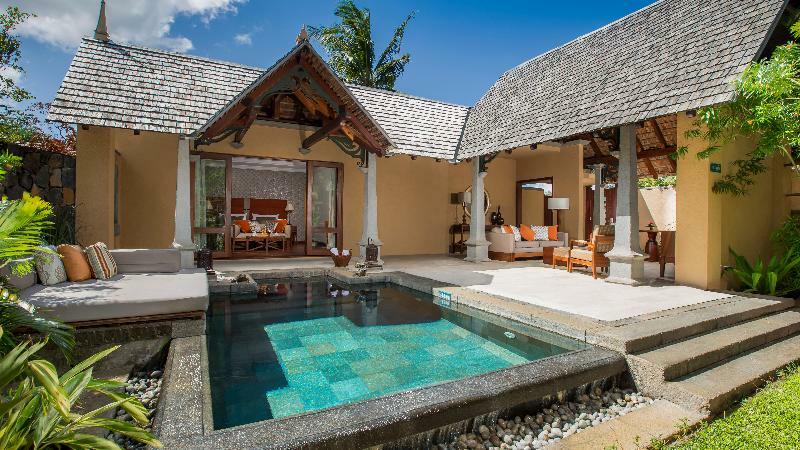 Terletak di kawasan yang indah di Wolmar, Maradiva Villas Resort & Spa menikmati posisi megah di hab pantai di tengah-tengah Pulau Mauritius. Terletak 25. Km dari keseronokan bandar, hotel 5-bintang ini terletak di lokasi yang sangat baik dan menyediakan akses kepada tarikan terbesar di bandar. Pelawat yang datang ke hotel boleh melawat tarikan utama di bandar ini seperti: Tamarin Public Beach, Kawasan Luncur Tamarin, Tamarina Golf. Ambil kesempatan daripada pelbagai perkhidmatan dan kemudahan yang tiada tandingan di hotel Pulau Mauritius. Khidmat bilik 24 jam, Wi-Fi percuma semua bilik, meja depan 24 jam, fasiliti tetamu kurang upaya, simpanan bagasi merupakan beberapa kemudahan yang membezakan Maradiva Villas Resort & Spa daripada hotel-hotel lain di bandar. Semua bilik tetamu menawarkan pelbagai jenis tahap keselesaan. Banyak bilik turut menyediakan televisyen skrin rata, telefon di bilik mandi, rak baju, kopi segera percuma, teh percuma untuk memuaskan hati tetamu. Sama ada anda peminat kecergasan atau hanya mencari cara untuk bersantai setelah seharian bekerja, anda akan dilayan oleh kemudahan rekreasi kelas tertinggi seperti tab panas, pusat kecergasan, sauna, padang golf (dalam jarak 3 km) , kolam renang terbuka. Apabila anda mencari penginapan yang selesa dan mudah di Pulau Mauritius, ijadikan Maradiva Villas Resort & Spa sebagai rumah anda seperti berada di rumah sebenar. Resort ini tidak mempunyai katil berkembar berasingan. The twin bed configuration consists of a double base with two mattresses. Maradiva gives you an amazing private experience. Villas are vast, comfortable, quiet and suitably separated from each other. Beach is one of the best on Mauritius. Hardly anyone on it and very large. Let down a little bit by service. On the beach its a little slow and sometimes restaurant staff make mistakes on the orders. Teppan restaurant very good, well worth a try. Good for stay but food is not good one has to take care about the food as they are charging hectic amount. Everything was perfect at Maradiva hotel! We were there for Christmas with our 2 small kids and we enjoyed our stay a lot. On Christmas Day the hotel surprised the kids with gifts from Santa and my kids were so happy. Everything about the hotel was amazing from the way it looks to the punctual service, cleanliness, spacious rooms... It rained for few hours everyday but this did not stop us from doing a lot of activities all around Mauritius. If you’re looking to sun tan you can head east and enjoy a full day of island hopping. We had an amazing vacation and we were sad to leave. We’ll definitely be back and of course we’ll choose Maradiva for our stay again. Amazing resort, amazing staff & amazing holiday. We had an excellent stay at the resort mainly due to the privacy that we were provided. The hospitality was outstanding with all the staff addressing us by name giving that personalised feeling. Provision for half-board and the free activities in the hotel (gym, spa and water activities) add value to the resort price. Highly recommended. The resort is a wonderful place.We family enjoyed ourselves so much. The staff are friendly,waiters of Coast 2 Coast, are so nice. They helped us a lot. We will come back to enjoy our holiday next time. Was a fabulous stay at the Maradiva overall. The place grows on you more and more as you stay there. Walking out onto the beach with its turquoise waters and mountainous backdrop is simply a stunning experience. The staff were super friendly and made sure we felt 'welcome' at all times. The spa offered some delightful treatments, along with an outdoor heated pool and sauna. Food at the main restaurant Coast to Coast was a bit hit and miss. Some dishes were excellent, some were average/poor. However, the manager in charge was really 'on the ball' and he made up for poor service and food on one particular occasion by inviting us as his guests to dine at the pan asian 'a la carte' restaurant Cilantro. That is what we call good customer service - putting things right! Food at the Indian part of the restaurant Cilantro was very good but we weren't blown away by it. We thought Saffran at Le Touessrok was a far superior 'michelin star' experience. However, the Japanese restaurant did blow us away! The chef was amazing on all counts, and even did some superb Thai food dishes too. All in all, an excellent stay with great memories. We would definitely go back. The villa was great. The room service and attention to detail was a little lacking though. 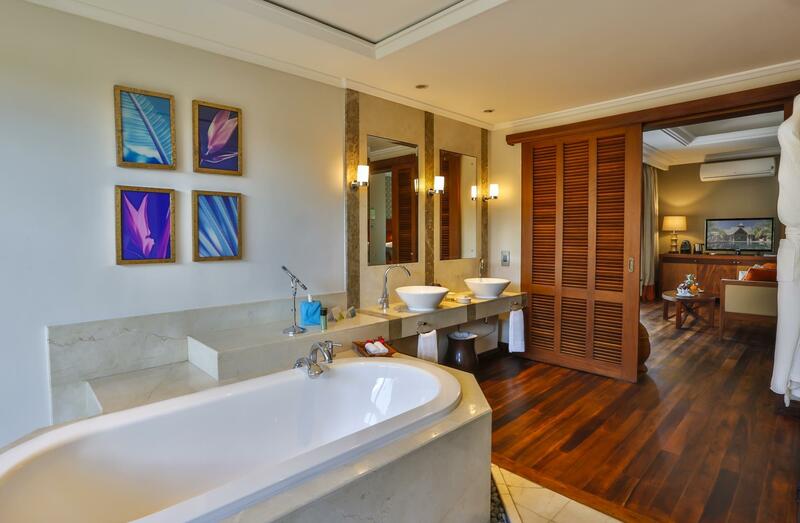 the good - ok so this is a very well presented, beautiful hotel on the west coast of mauritius. the rooms were nice and clean, although they could use some updating. we stayed in beach front luxury suite villa which had a pool (as all the villas do) which while not being right on the beach was close enough. the outdoor area was very well done and very usable although don't expect privacy as anyone walking past can look in - not that this concerned us much. the spa was very nice and we found the spa staff to be professional and the treatments were of a high standard. the bad - i don't think that we are difficult customers however we encountered some major issues with service at the hotel. firstly we made a reservation at the hotels cilantro restaurant (as we were informed we must do)through reception only to arrive there and be told that they had no record of our reservation. the staff were less than helpful, we felt like we were being accused of lying. they then sat us down and had to wait for 90 mins before finally being seated in the tepinyaki restaurant. they also do not have a dedicated concierge service which is odd for a hotel of this caliber. you can book your excursions from the boat house near the restaurant but they are only open until 5pm every day and there is virtually no communication between them and reception which we found to be an issue when we were attempting to pay for a trip we were doing the next day. i made no less than three trips down to the boat house to pay only to be told that the appropriate person was not available to take my payment. when he finally was there, his card machine wasn't working. he informed me i had to go and get cash to pay for it as he was closing in 20 minutes and expected me to find my own way to an atm. we rang reception to sort this out and put it on our room and were informed they could lend us the money but with a %10 fee on it. we thought this was ridiculous and made them find another solution. This resort is great if you are looking for a private holiday, Book a Villa and you can enjoy time with your family without any disturbance. Private Pools, great food,and lots of amenities at this hotel.